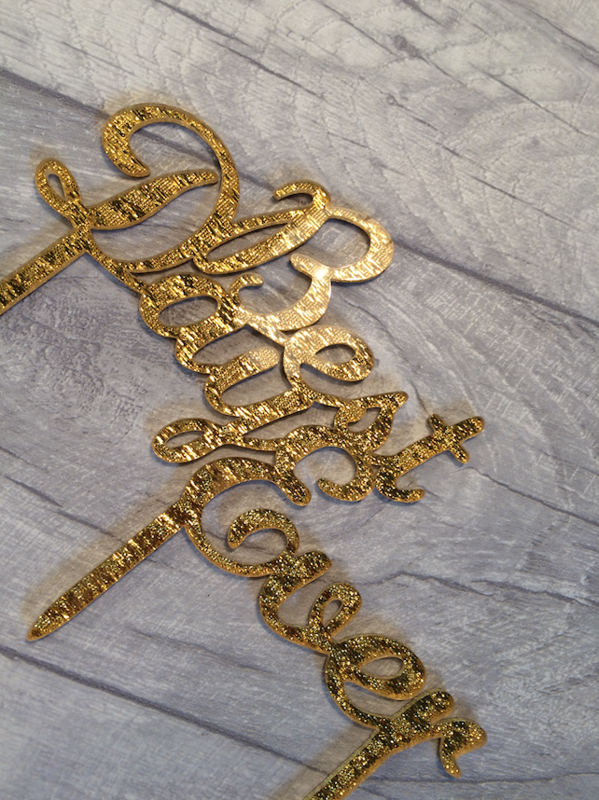 Top your big day off with this stunning gold sparkle 'Best Day Ever' Cake Topper for your wedding cake! 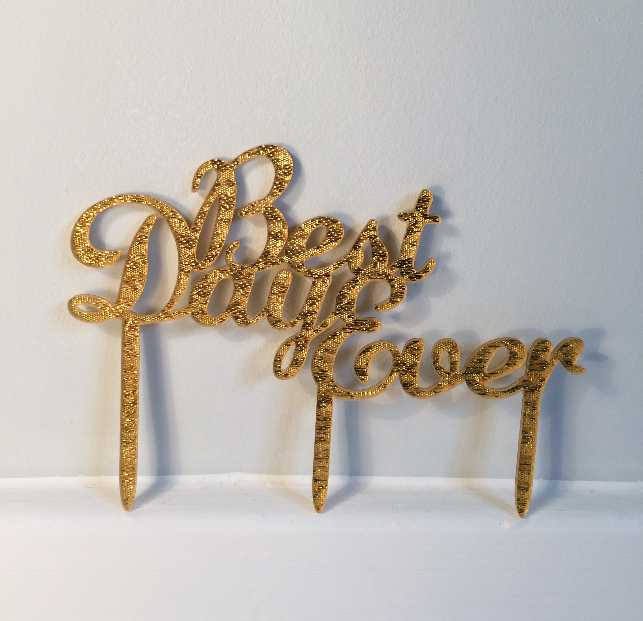 This cake topper is perfect to add a touch of glitz, style and personality to any wedding cake; even an engagement party cake! 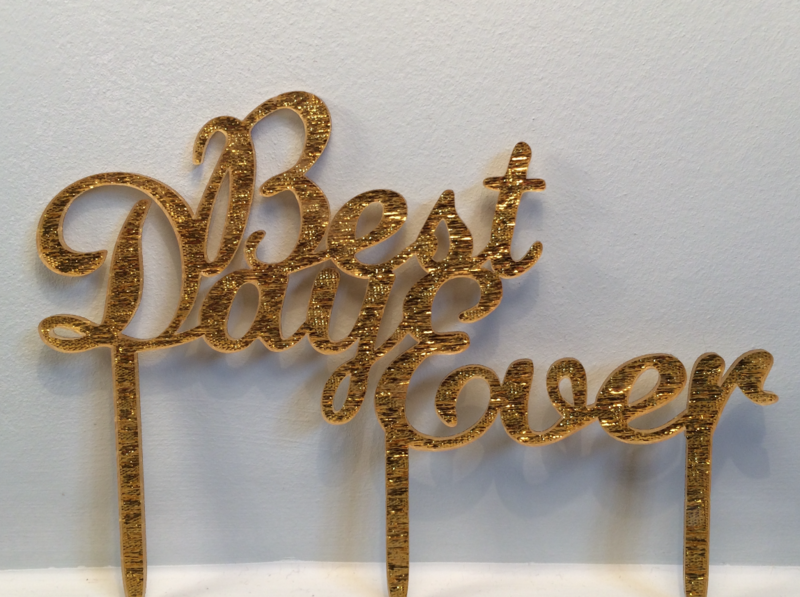 Ensure your wedding day is the 'Best Day Ever', after all, it is your big day! Topper measures 13.5cm width.